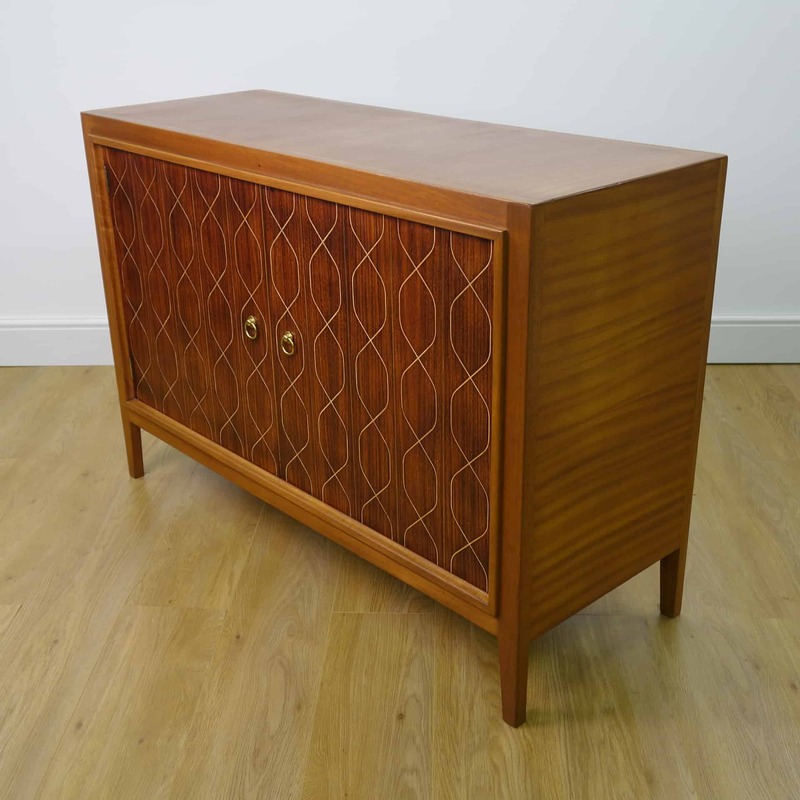 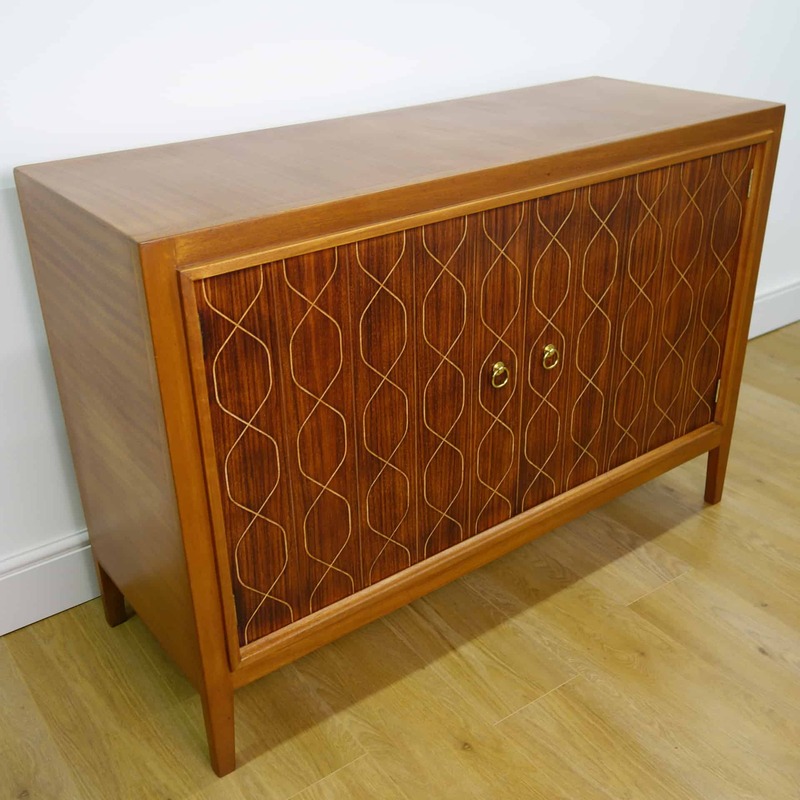 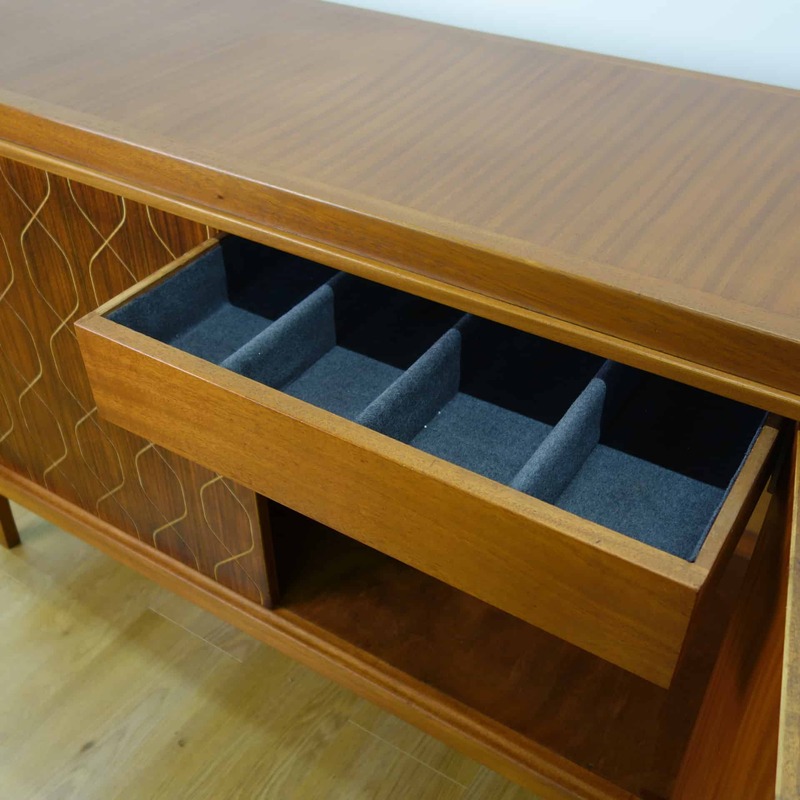 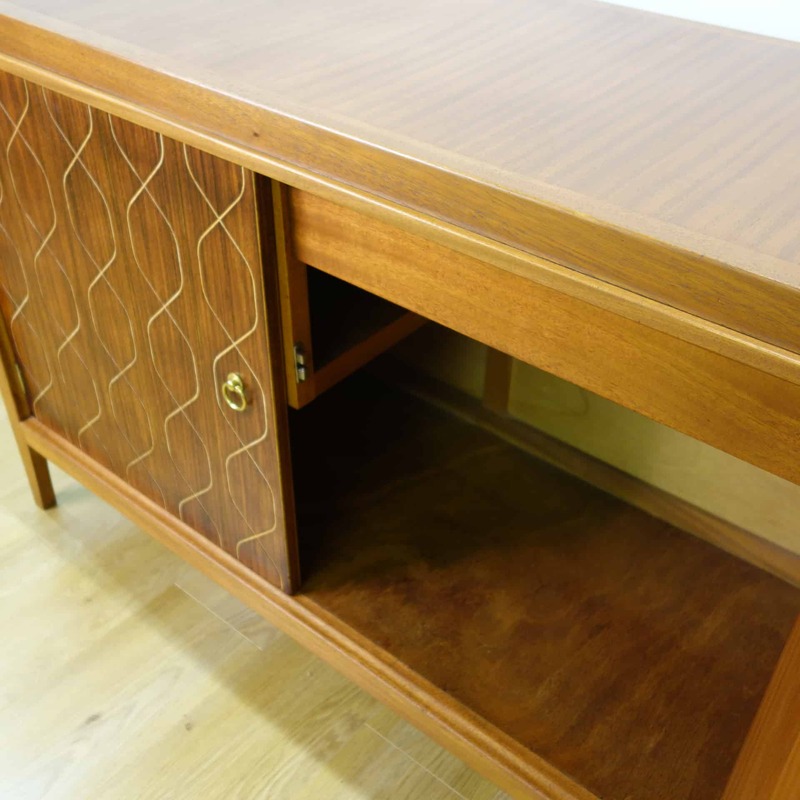 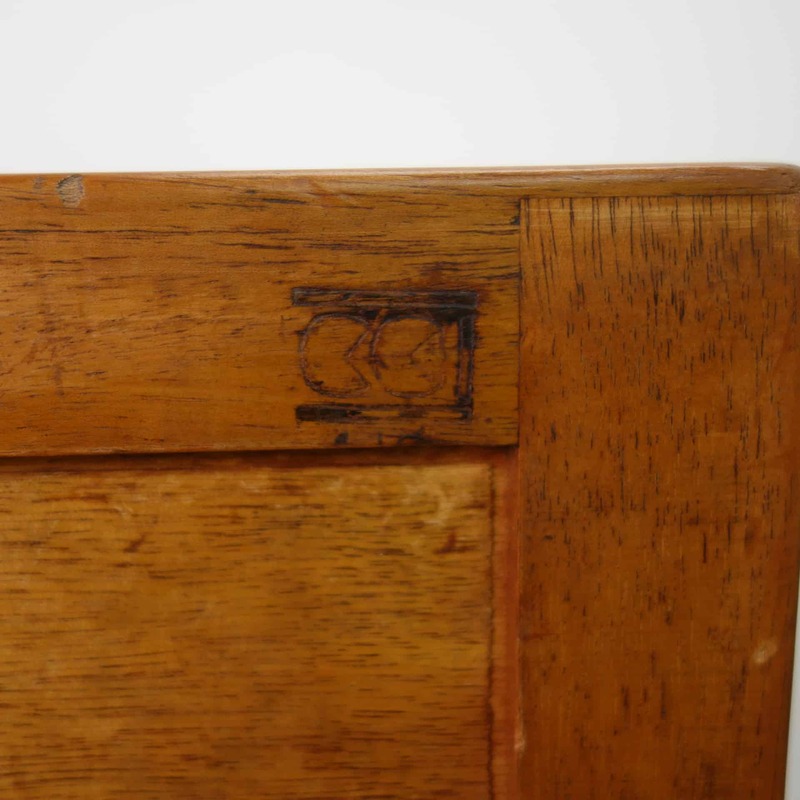 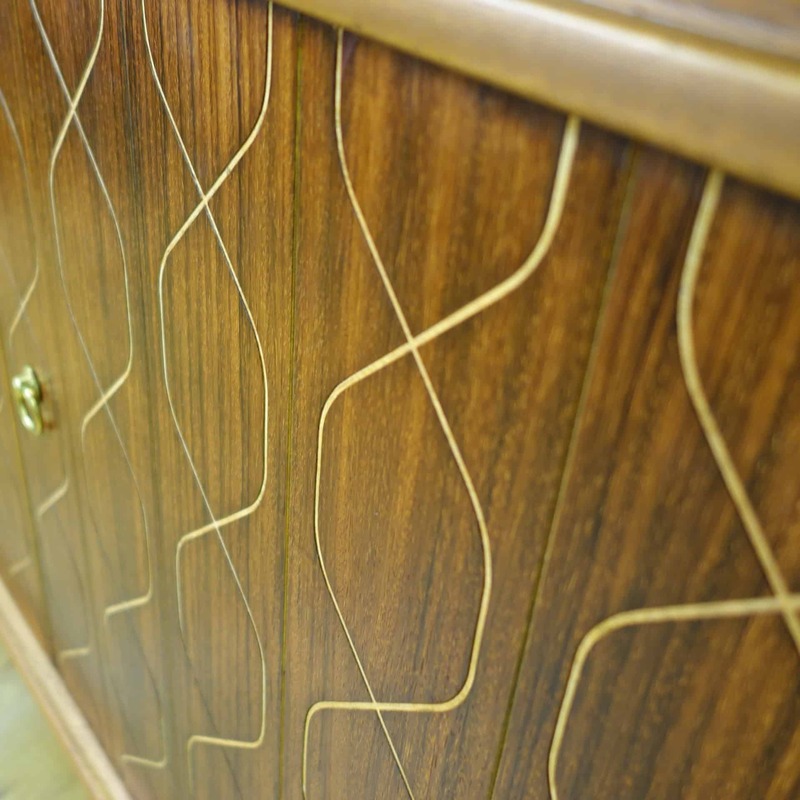 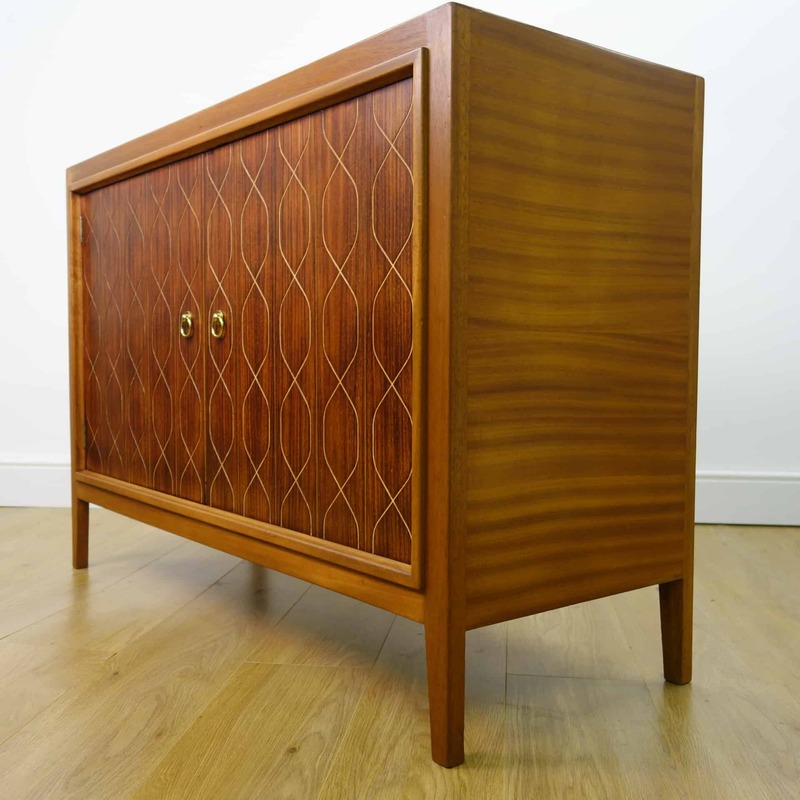 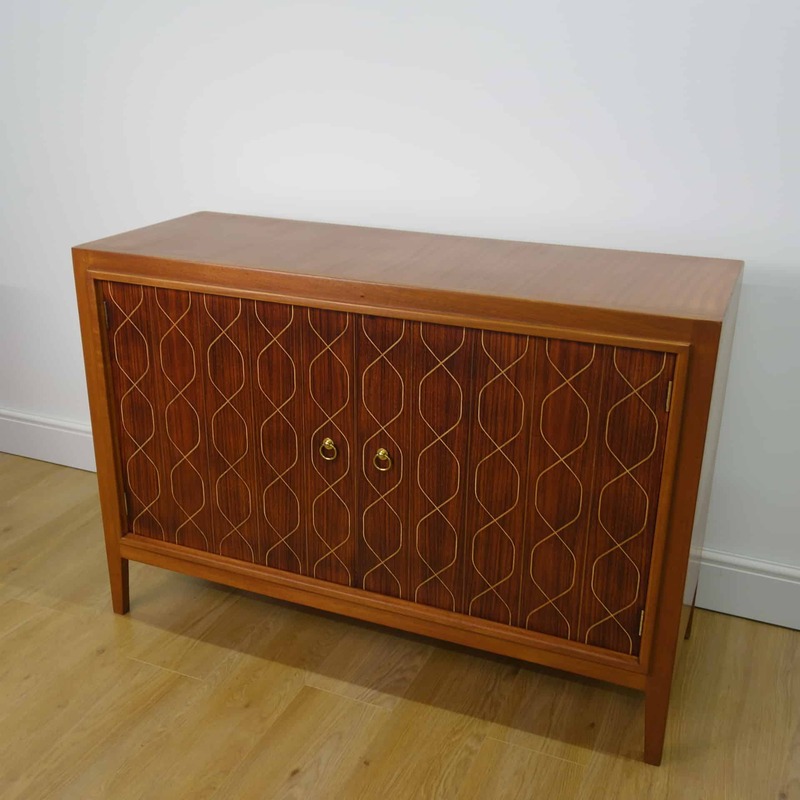 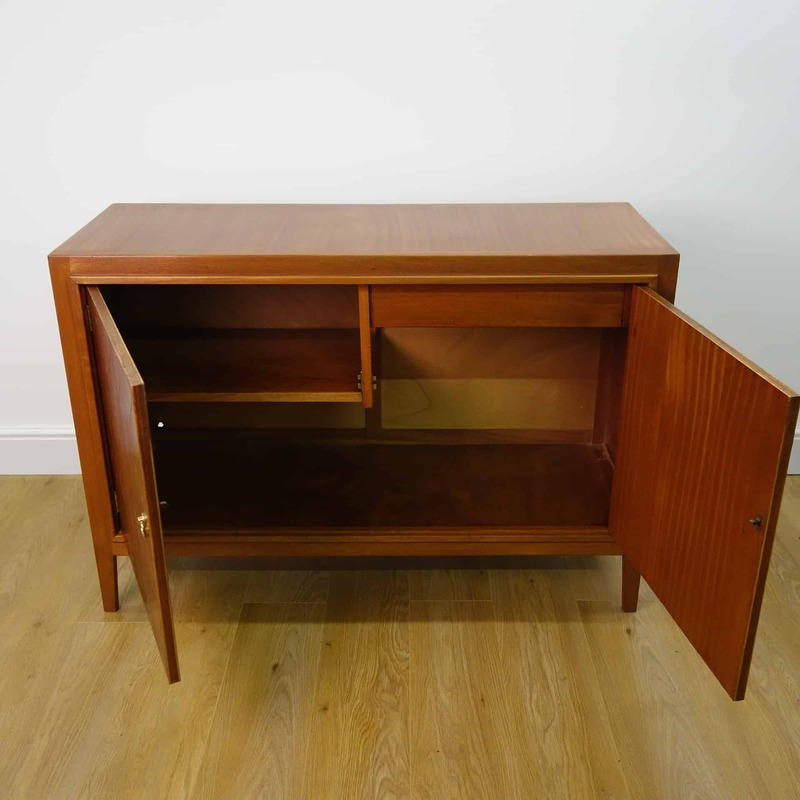 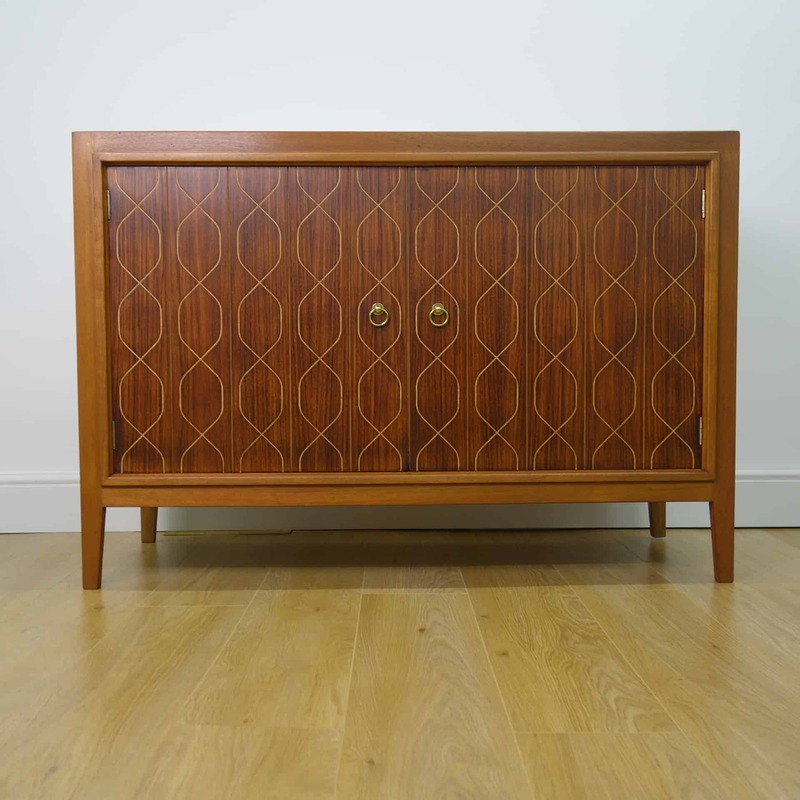 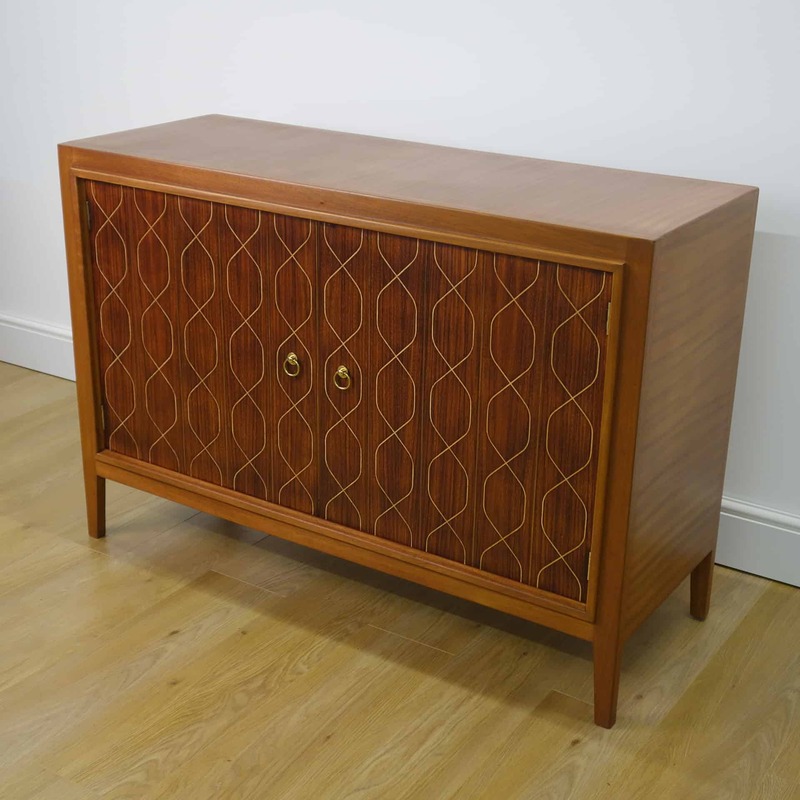 A double Helix sideboard designed by Booth and Ledeboer, produced by Gordon Russell. 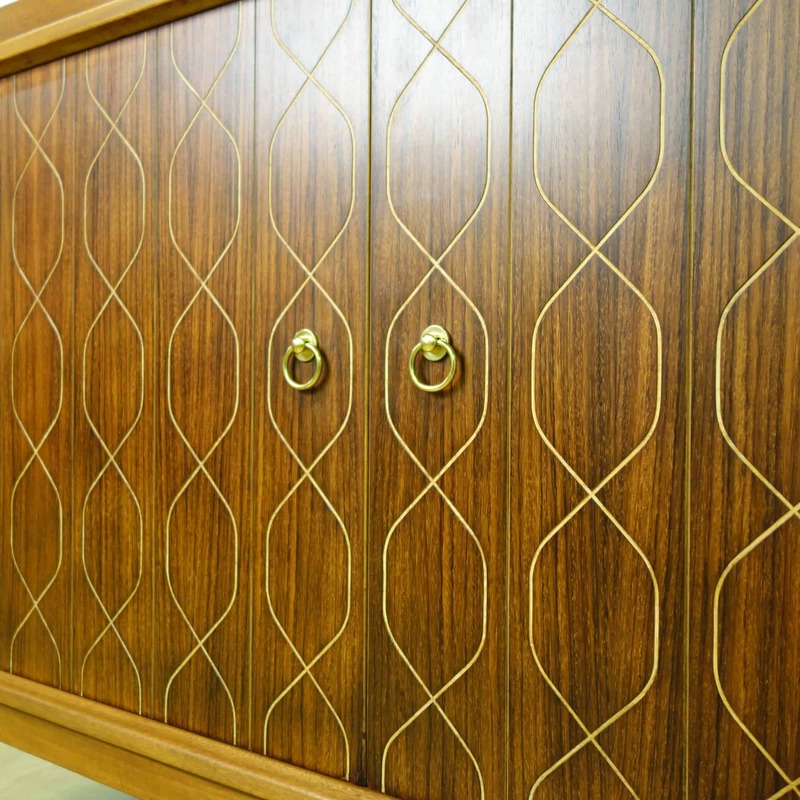 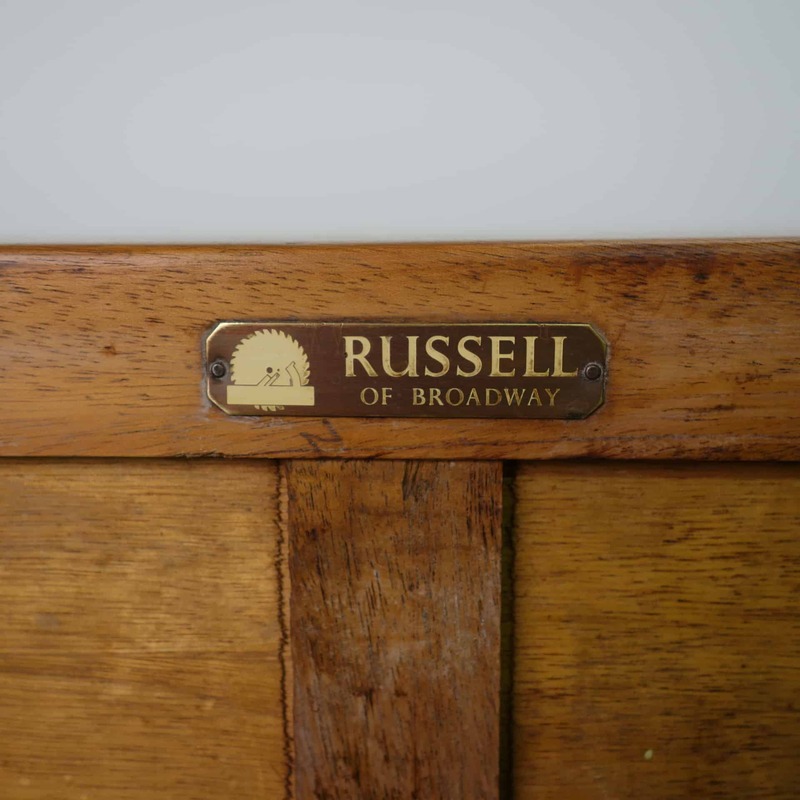 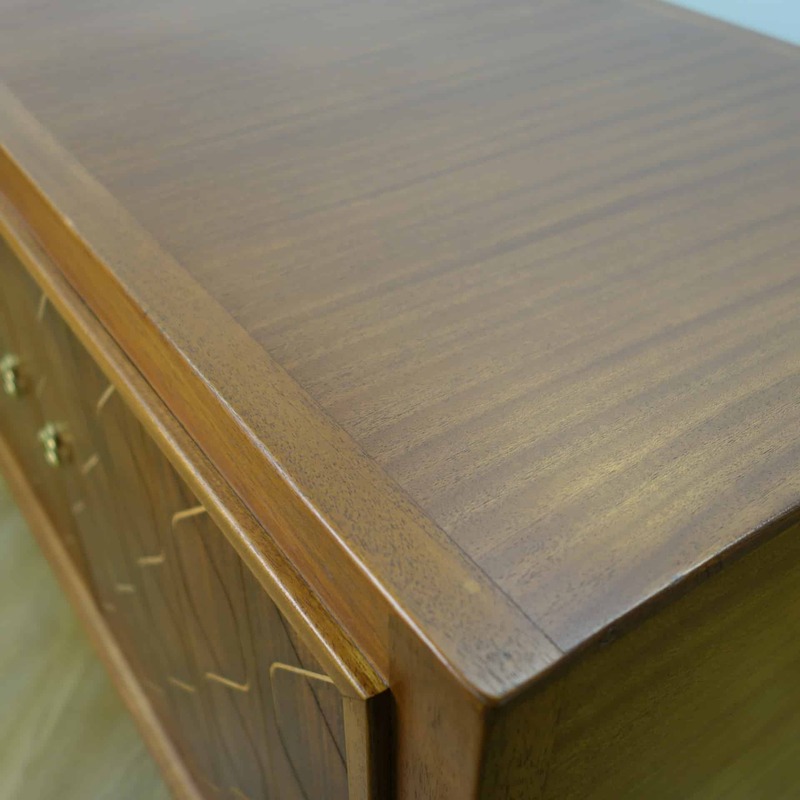 Routed rosewood doors with a double helix pattern, a mahogany frame, brass handles and an internal felted cutlery drawer. 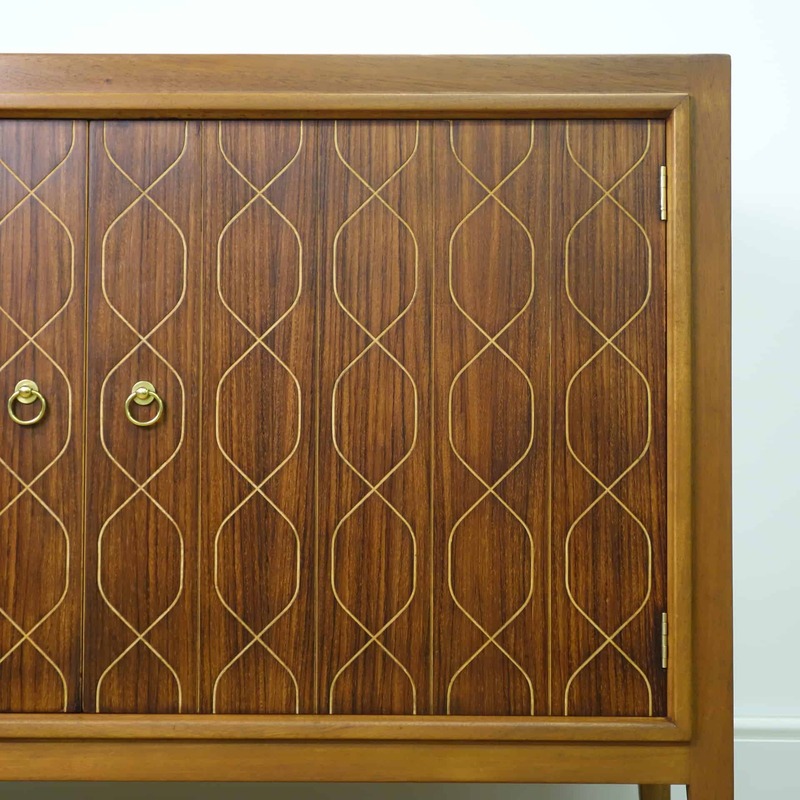 The design was shown at the Festival of Britain in 1951.